How old is this little one? Is he a single? Edit again: BEAUTIFUL nest box, did you make that? That is a awesome nest box or squirrel condo as we call it. I bought two of them from NutsAboutSkwerls. 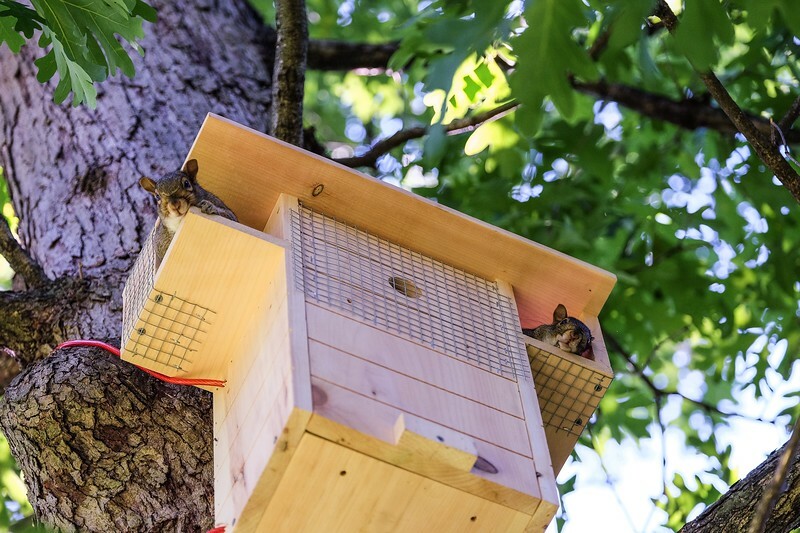 They are fantastic, well built, safe from predator squirrel houses. I can't say enough good things about them. I put them in with the squirrels the last couple of weeks to get used to them before release. it worked out great, they knew exactly what the houses were and that they were theirs. Here is a better picture of the whole thing. Yeah, I am completely eyeballing your nest box as well....'high falootin'' condo your babies have! I think I have nest boxs from the same guy? He is not cheap but they are well built and very deep with internal and external predator guards. I reinforce mine with hardware cloth, in part to prevent the squirrel inhabitants from chewing holes in them! They may be a bit standoffish for now but I bet you will see them around and they will visit to let you know they are alright (and to get treats!). 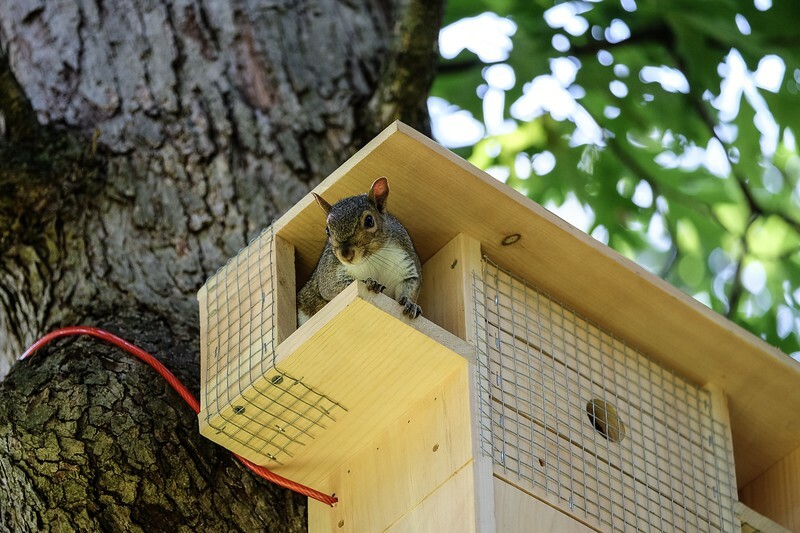 I will only buy my nest boxes from Nuts About Squirrels - http://nutsaboutsquirrels.net/SquirrelHouses.html. Right now I have 10 throughout my yard. They are the BEST - my squirrels really, really love them - I HIGHLY recommend Nuts About Squirrels.